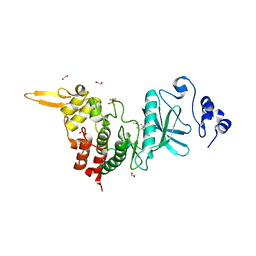 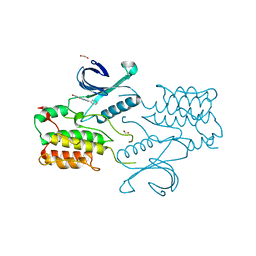 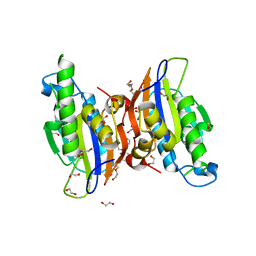 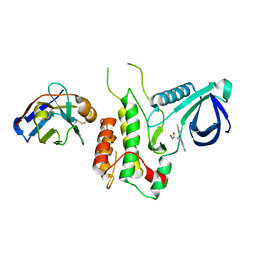 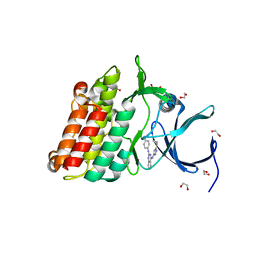 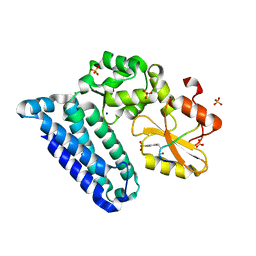 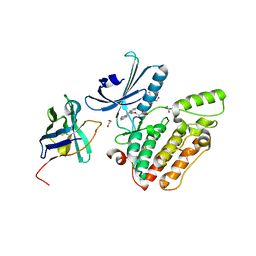 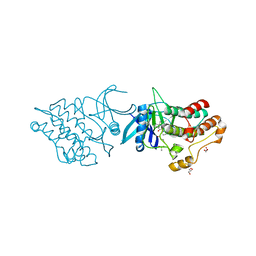 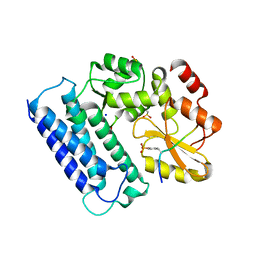 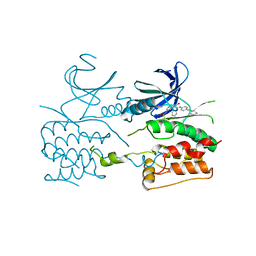 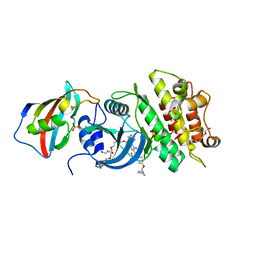 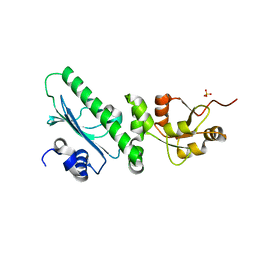 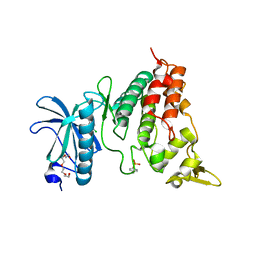 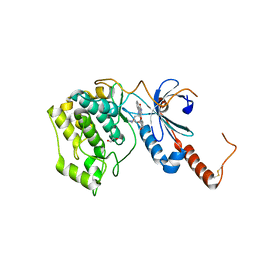 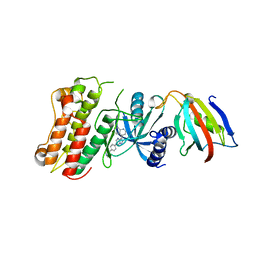 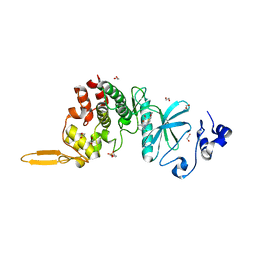 Cite: Structure of the Bone Morphogenetic Protein Receptor ALK2 and Implications for Fibrodysplasia Ossificans Progressiva. 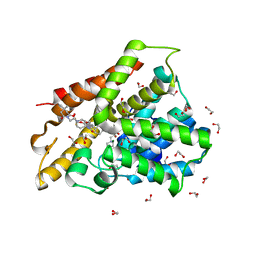 Authors: Chaikuad, A., Keates, T., Krojer, T., Allerston, C.K., von Delft, F., Arrowsmith, C.H., Edwards, A.M., Bountra, C., Knapp, S., Muller-Knapp, S.
Cite: Structure of Cyclin G-Associated Kinase (Gak) Trapped in Different Conformations Using Nanobodies. 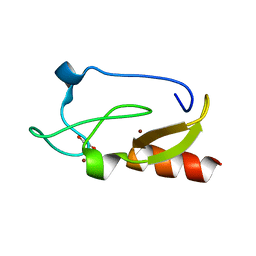 Authors: Chaikuad, A., Keates, T., Allerston, C.K., Gileadi, O., von Delft, F., Arrowsmith, C.H., Edwards, A.M., Bountra, C., Knapp, S., Muller-Knapp, S.
Cite: An Unusual Binding Model of the Methyl 9-Anilinothiazolo[5,4-f] quinazoline-2-carbimidates (EHT 1610 and EHT 5372) Confers High Selectivity for Dual-Specificity Tyrosine Phosphorylation-Regulated Kinases. 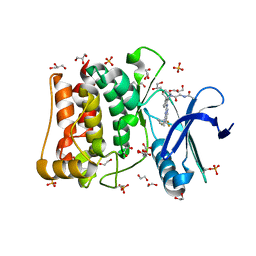 Authors: Chaikuad, A., Fairweather, V., Conners, R., Joseph-Horne, T., Turgut-Balik, D., Brady, R.L. 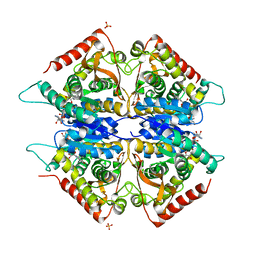 Cite: Structure of Lactate Dehydrogenase from Plasmodium vivax: Complexes with NADH and APADH. 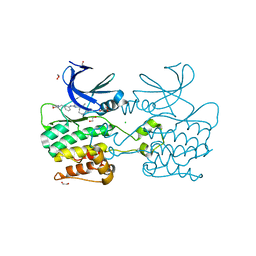 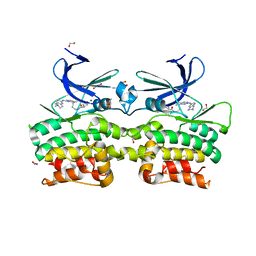 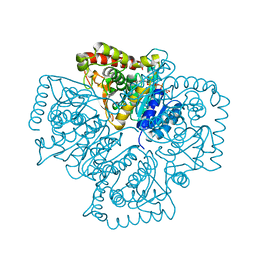 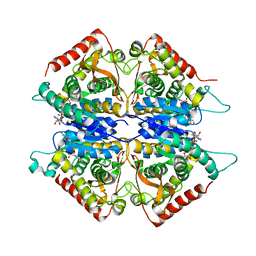 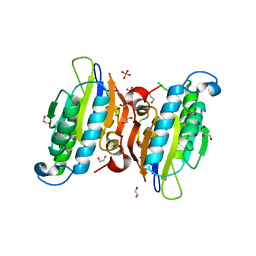 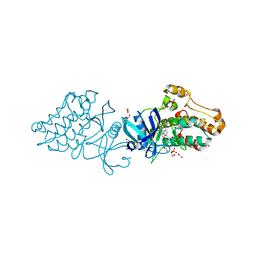 STRUCTURE OF PLASMODIUM FALCIPARUM LACTATE DEHYDROGENASE COMPLEXED TO APADH.